The NLA Day on the Hill is an annual event where NLA members meet with their elected representatives in Washington, D.C. in an effort to educate them on the issues and concerns facing our industry. This event is vital to our industry and all NLA members are encouraged to attend and have their voices heard. 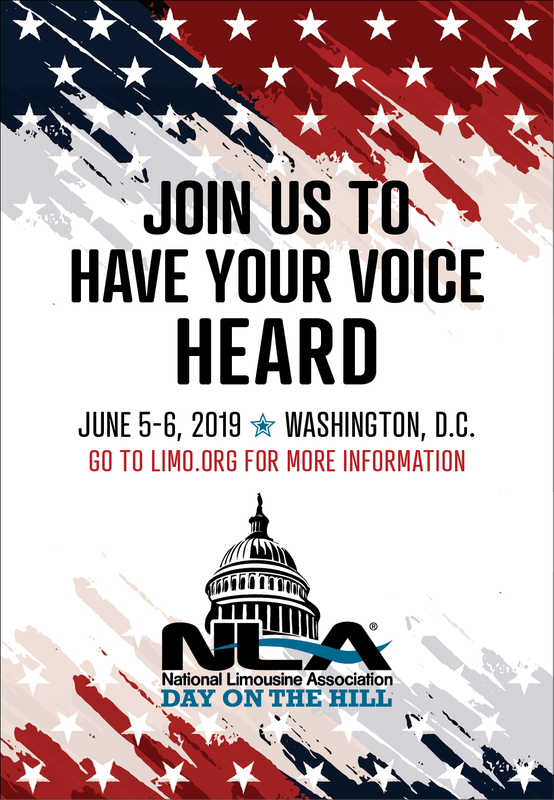 This is your chance to meet with your representatives in Washington and have your voice heard regarding the NLA's hot-button issues. Hotel Information: The NLA has secured a limited block of discounted rooms at the Hyatt House and the InterContinental, both in the District Wharf for our members convenience. To secure a reservation at the Hyatt House at the District Wharf, please click the button below to receive the NLA discounted rate of $299/night. If you would like to stay at the Intercontinental Hotel, please contact the NLA at info@limo.org for availability. Contact the NLA at info@limo.org for information on becoming a sponsor!